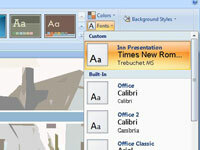 On the Design tab, click the Theme Fonts button. 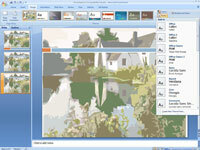 Choose Create New Theme Fonts on the drop-down list. 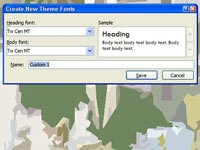 The Create New Theme Fonts dialog box appears. On the drop-down lists, choose your fonts. 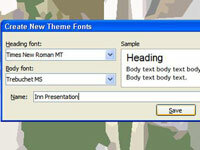 Select a Heading Font (for slide titles) and a Body Font (for the body text in slides). 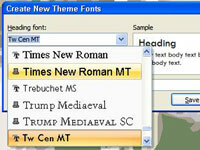 Enter a descriptive name for your theme font in the Name text box.